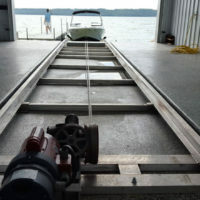 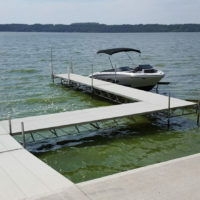 Roll-A-Rail offers a convenient way to fully protect boats, pontoons and even float planes from water and weather damage. 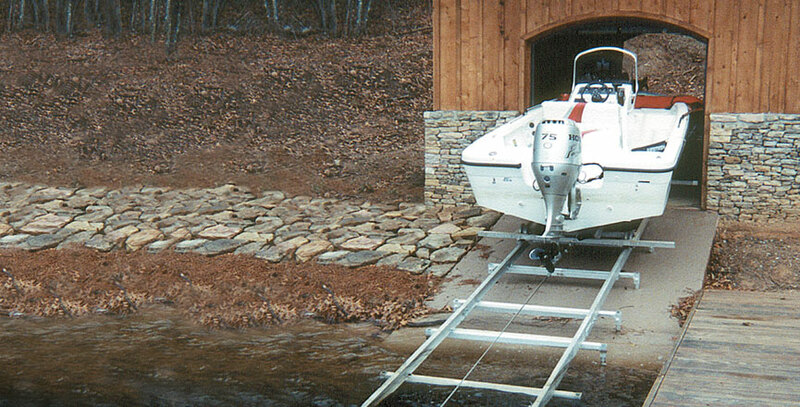 The ease of moving your craft to and from the water aids in visual inspection and simplifies periodic maintenance or repairs. 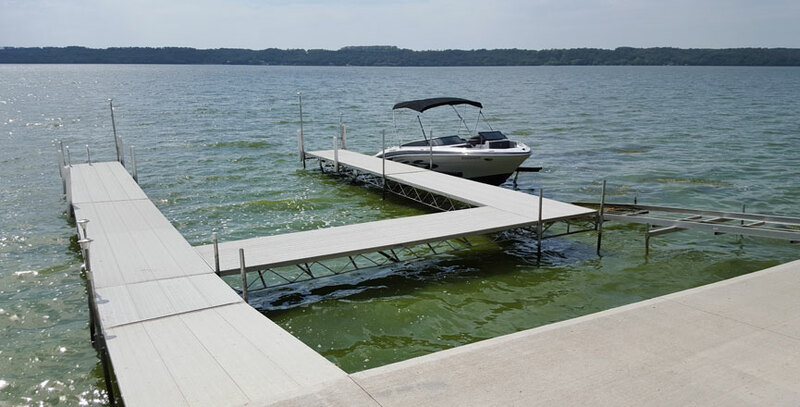 Roll-A-Rail is built to Hewitt’s exacting standards and constructed from corrosion-resistant structural aluminum. 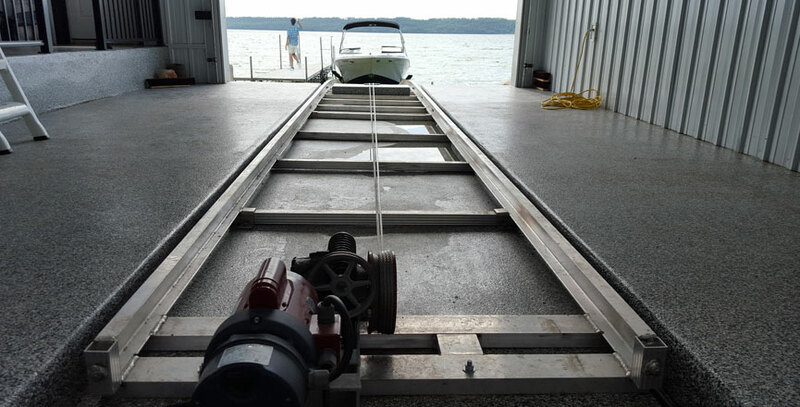 Available in a 4500 lb model or a 6500 lb model that features heavier gauge stainless steel cable and an extra heavy-duty trolley. 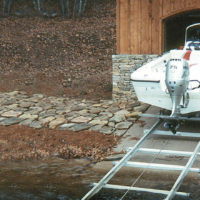 Electric motor brake for steep inclines comes standard on 6500 lb model.